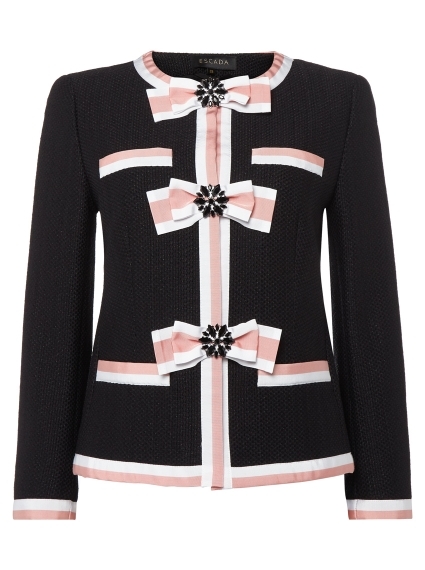 Superb tailoring combines with playful details in this cotton blend jacket from luxury label Escada. Cut from textured tweed, the design is trimmed with striped grosgrain tape that's been tied to bows at the front. Glistening gem buttons complete this stunning piece.